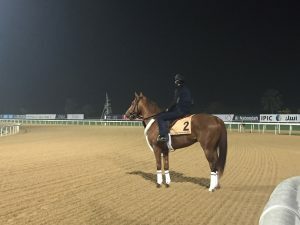 BSW Bloodstock will be represented by two runners on Dubai World Cup night with Mind Your Biscuits entered in the G1 Dubai Golden Shaheen and Master Plan entered in the G1 UAE Derby. Mind Your Biscuits was a private purchase by BSW Bloodstock for owners Head of Plains Partners and Michael E. Kisber after his second place finish in the G3 Gallant Bob Stakes at Parx in September, 2016. Mind Your Biscuits wasted no time rewarding his new connections with a third place finish in the G1 Breeders’ Cup Sprint (moved up to 2nd following DQ) followed by his first Grade 1 win in the Malibu Stakes at Santa Anita on December 26th. 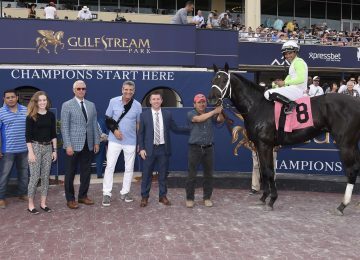 The chestnut colt by Posse returned in late February to get beaten a neck in the G3 Gulfstream Park Sprint Stakes and trainer Chad Summers comes to Dubai with confidence in his contender. Master Plan is a BSW public auction purchase for management client Al Shaqab Racing in partnership with China Horse Club and Winstar Farm. This son of Twirling Candy was purchased from the OBS March Two Year-Old in Training Sale. 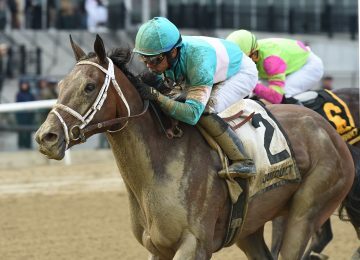 Master Plan broke his maiden by 2 ¼ lengths at Gulfstream Park West and followed this up with a short second place finish in the Pulpit Stakes to leading Kentucky Derby contender Tapwrit. 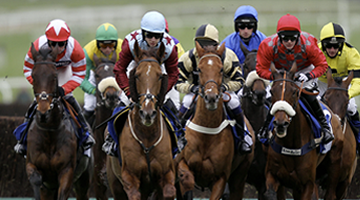 Master Plan bounced back with a powerful come from behind win in the OBS Championship Stakes by 2 ½ lengths. 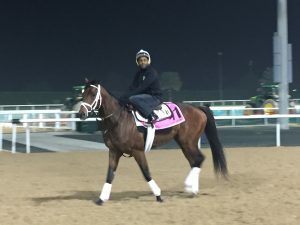 Master Plan is competing for much more than the $2,000,000 purse for the G1 UAE Derby on Dubai World Cup night. A win in this race automatically qualifies him for a spot in the Kentucky Derby. Also running in the G1 Golden Shaheen is BSW Bloodstock Management client Head Of Plains Partners’ Stallwalkin Dude. He drew post position #1 with Florent Geroux up. 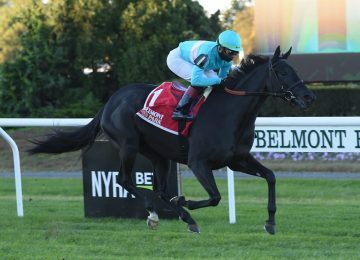 Good luck to the connections!